Why do listings come easily to some agents while others struggle to find leads, set appointments, and close deals? Is it luck, fate, circumstance, the brokerage they work for perhaps, or is there something else? Maybe they found a magic tool. Tapped into a fountain of sales rejuvenation that keeps them forever young and always listing. Or maybe (and frankly, most likely) their success is built on something else entirely. Something real. Something concrete. Something tangible. Ask 100 top producers their keys to success, and you will get 100 answers. All different. All unique. All very personal. However, all of them will have striking similarities. Certain principles of selling stand the test of time. These concepts can be viewed from many perspectives, and voiced in countless different ways. But shuck it right down to the cob, and you’re left with a handful of fundamental sales precepts. Each one a powerful guideline in its own right. Applied together, they become building blocks to a solid foundation. The roadmap top producers follow to achieve success. 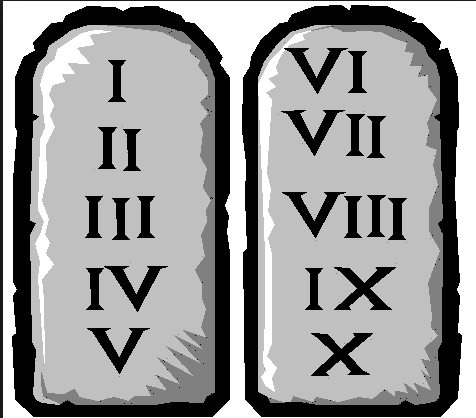 The ten commandments of smart agents. 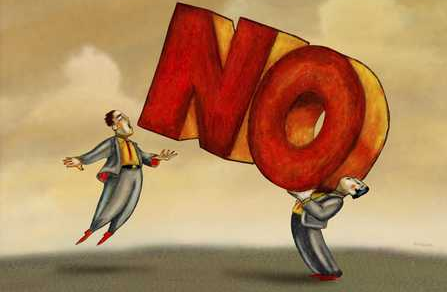 Stop looking at “No’s” as failure! You will never get anywhere in business if you won’t try. Not every person you meet will want or need what you have to offer. Show them the clear benefits you offer, and answer their questions. If they are not at all interested, and you’ve done your best, move on. One of the more persistent myths about top agents is they face rejection less than others do. Not true. Quite the opposite, actually. Top agents actually tend to push harder, be more aggressive, and go after bigger deals. Meaning they hear “No’s” more often, and in a bigger way than others. However, the distinction they have lies in their persistence. Through rejection. Over obstacles and around failures. Denial is a river in Egypt. But, it’s spanned by dozens of bridges, and if you just keep trying, you will find a way to get over it. Time. It’s a commodity bought, sold, and traded. Is this your first meeting? Respect their time. They are giving it to you in trade for hearing your offer. Get right to business. Lay out what is in it for them first. Friendships are born from successful business transactions and interactions. Bring value, and people will value you. Try it in reverse? You will meet many people who promptly forget you. Your lunch meetings will leave you with a full stomach, but an empty wallet. Start the first course out right by bringing a plate piled high with value. Add in a side dish of helpfulness, and pour a cool glass of water in the desert. Sure it’s nice to be friends, but this is work, and don’t forget it! Want a friend for life? Serve the customer. Help them, fight for them. Put their interests first. Communicate. Do your absolute professional best. And in doing your best, you will win a champion of your cause. Friends of your new friend will come to you as referrals. Put business first, if you want more of it. It is incredibly arrogant to walk in, solution in hand, without first taking time to learn the needs a person has! Not only are you coming across as pushy, you are setting yourself up for failure. ailor your delivery and style such that they blend with your personality. Above all, be genuine in your approach. In this way, you can speak to needs, while staying on track and highlighting the benefits and value you bring as a solution to those needs. Walk into a doctor’s office in search of treatment and they ask you a myriad of questions. Why? To isolate your needs, find the source of your pain. Ask permission to ask a few questions. Work from a carefully scripted list of questions designed to ferret out and expose the need, or pain they are facing. Only when you truly know the need can you do anything to address it. This may be the hardest part of all: after you ask a question, shut up. And wait. Let them talk. You would be amazed what people will tell you if you just let them! Start with broad, open-ended questions. Show care and curiosity by listening to the answer, and building on their response. Asking questions in return shows that you are listening. It also allows you to steer the conversation toward the next step. Build trust by keeping your questions simple and to the point. That being said, you must have a goal. Come prepared, ask questions, uncover needs, and then offer solutions. Picture an onion or an artichoke. As their answers peel away the layers, you can get into more detailed questions. Find out why an owner is thinking of selling. What attracted them to their home in the first place. Those are not just conversation points; those are important details. You have just established a time frame, and discovered unique points to feature in your marketing plan! You’ve come a long way, but what is the next step? It’s time for you to smoothly deliver a perfectly crafted statement that magically closes the deal, right? Nope. That only happens in movies and cheesy sales training videos from the 80’s. Face it, if the owner hasn’t already asked you to list their home, no secret words will transform them into an excited, eager seller. But that’s ok. If you’ve been asking questions along the way, taking note of their needs, and sharing pertinent stats, you don’t need to make a leap to the finish line. All you need is for them to take a step. One step closer. And again, if you’ve been paying attention, you already know what step they need to take. Verbalize it, agree to it, repeat it, and confirm it. The options are simple and limited. “Let’s talk soon” is not a commitment to the next step, rather an escape route. Close the deal by setting a firm date and time for the next action step (with specific goals to be met), or agree to part ways. More on that in a moment, but first, a tip. Remember the layers you peeled back with your questions? It got you to the heart of why they were thinking of selling. There’s another, equally important piece of information you need to uncover in conversation. Where they are going, and why. Once you know what is motivating them to move, you can talk about all the positives they will encounter after they take that step. Getting them to focus on the future brings it that much closer to reality. Remember step 2? Rejection. It happens. Not everyone is a good fit every time. If you can’t meet the need, solve the problem, or soothe the pain, do anything you can to help, and move on. Great negotiators know where to draw the line, and smart agents know when to walk away. Before you leave, be upfront and honest about your next step. Planning to add them to a newsletter list? Ask for permission now. If you plan to check in at a later date, say so. People appreciate honesty. In addition, when you follow through on your word, it builds credibility. Be careful with this one, though. Don’t confuse a person who is not interested with a good lead who just needs more work. For example, one particular couple was thinking of relocating to riverfront property. They had dreamed of owning a boat for years, and circumstances in their lives had finally made it a possibility. At the outset of the meeting in their current home, both husband and wife were quick to point out they had no intentions of acting on that dream for at least 6-12 months. This was merely a small step in a long-term plan. At this point, many agents would have wrapped up the visit as quickly as possible. Told them to keep in touch, and walked out the door in search of a good lead. Possibly the agent would add them to some kind of monthly newsletter or email blast list, and make a note to follow up in a few months. Luckily, for this couple, they had contacted a smart agent! Building on their answers to his questions, he got them talking about what attracted them to boating, and the water. The excitement of their dream was evident as they shared visions of peaceful time spent floating on the river, and watching sunsets over the water together. He didn’t pressure them to make a decision on moving. Didn’t try to close a sale before leaving. But he did get them to take the next step. The couple agreed to look at pictures from a few riverfront listings he had. In follow-up calls, he brought up the boat topic each time. Less than 3 weeks later, he got a call back: they were ready to list. As they thought about it, and talked about it, their dream of the future got closer and closer until it became reality. It was their dream, but the agent gets all the credit for shortening the time frame. No newsletter, no email blast of “just listed homes”, no drip campaign could have spoken to them on a personal level about their dream coming true. Had this agent walked away, he would have never won the listing. Someone else would’ve been there at the “right time”, when the owners were “thinking of selling”, and snatched it up. Someone else would’ve been there at the “right time”, when the owners were “thinking of selling”, and snatched it up. This world is full of jerks. Negative, unhappy people, they derive a twisted pleasure in ruining another’s day. Don’t let them have that power over you. The “good fit” works both ways. If it’s not a good relationship for you, walk away. Immediately. Quickly. And do not look back. Good people outnumber jerks, and they are looking for help. Do not ever fall into the trap of thinking you have to work with someone. You don’t. And if they are jerks, you shouldn’t! No. No, it’s not. Those unreasonable demands are setting you up for failure. And when you fail, the jerks will be there, saying you proved them right. As the old saying goes, there’s nothing worse than throwing good money after bad, and the same goes for time. Let another agent waste time and resources on them. Maybe after their listing has expired a few times, the demands will fade. But who cares? Smart agents know that life is too short to waste energy on jerks. Spend the time you just saved to find a good opportunity instead. If you were on the phone, pick it up and call someone else. If you knocked on a door, try the next one. If this was your only listing appointment for the day, call another lead, and ask if you can stop by. 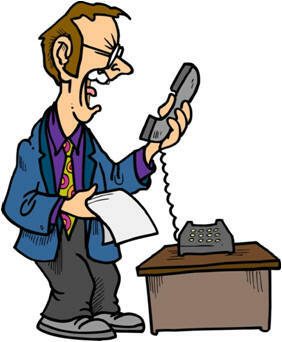 You’d be far better off prospecting than wasting another minute with a jerk. After all, there are good people out there who need help selling their home. So move on. What is your definition of networking? The act of hanging out at Chamber Mixers… The art of asking every business person you know to “send me referrals”… a fancy business buzzword meaning other professionals send leads to you… all of those are very one-sided. If that is your approach, you aren’t really networking. By definition, a network is “a group or system of interconnected people or things”. As an action, it means, “interact with other people to exchange information and develop contacts”. A study in the nuances of networking could be another article all to itself, but it boils down to one simple statement: In networking, like life, the value you get out is exactly proportional to the effort you put in. Stop looking at networking as a way to get other people to send you leads. Start looking at it as a way to bring value to your clients. Why have ‘big box stores’ become so popular? Because they have everything you need, in one stop, under one roof. Looking for more ways to help people? (remember, helping = listing) Become the clearing-house of referrals. Be that ‘one-stop-shop’ for your clients. Just look at the internet for a minute. We are living in a truly digital age. More information is available more readily than ever before. Yet where do buyers, clients, and customers turn for help? To people. Whole companies have been built on crowd-sourced reviews: Angie’s List, Yelp, TripAdvisor, GasBuddy, etc. Amazon has amassed over 143.7 million product reviews in the last 18 years, close to 8 million a year. Reviews carry so much weight, Amazon has made news for how aggressively they go after people faking one. Need more information on a topic, any topic you can think of? Wikipedia is a search away. Curated data, entered and updated by people. Want YouTube recognition? Do product reviews of something you enjoy. With an overwhelming glut of information available, input from “real people” is more valuable than ever. Why not capitalize on that need? Build a real network among professionals in your area. Not one where you beg others for leads, but one where you are the person with answers! We all live busy lives. No one is juggling more to-do’s than a homeowner who wants or needs to sell. Referring them to other trustworthy professionals is an excellent way to bring value. And when you send customers to people in your network, they’ll send more referrals back then you could ever ask for! Mentorship is how you learn from the mastery and mistakes of a person successful in their field. Ask any so-called “self-made man” what helped him achieve his success, and he will give credit to others. Mentors, coaches, authors, leaders – all these people helped provide him with the road map he has followed. Now, it IS up to you to walk your own path, nobody can do that for you. However, it would be foolish to ignore the help and guiding of others who’ve gone before, and are now pointing the way! Imagine taking off on a cross-country road trip. How will you know which way to go? Easy. Swipe to an app and get turn by turn directions to your final destination. But think about it. The apps are based on mapping software, which was based on maps. Maps that have been laid out in detail for years. Roads crossing those maps will have signage to point the way. On ramps, off ramps, caution signs for hazards, signs for rest stops, and refueling. Even when you know you are on the right road, you still look to those signs for guidance as you travel. Now imagine you’re embarking on a business journey. Who can tell you the best path to take? Once you head down that path, where will you find guidance? When you begin looking around, you’ll see many signs pointing the way. In reality, finding people to follow is easy. It’s much harder deciding WHO to follow! One helpful tip: Ask other business people you respect who they follow. Outstanding athletes have good coaches. Many of those coaches had mentors. And their mentors very likely followed advice or teaching from leaders whom they looked up to. Deciding how you follow is equally important. Look for ways to learn that fit you. Read books and blogs, attend mastermind meetings or training sessions, sign up for a newsletter, follow on social media, etc. Whatever way you choose, make yourself a promise. Promise to invest in the business of you. It will be the best investment you’ll ever make. There you have it. 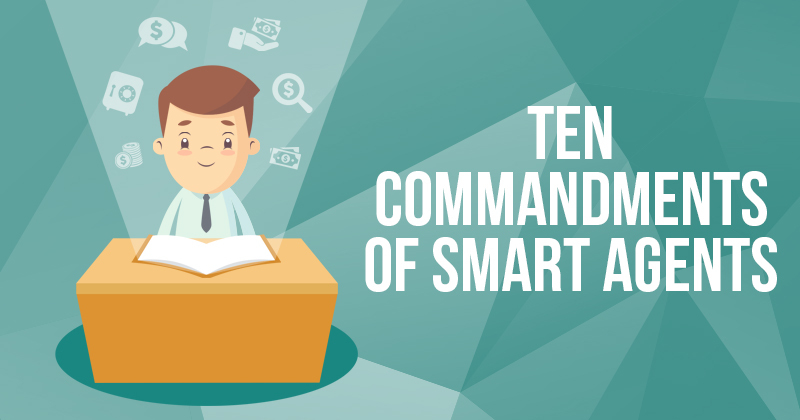 The 10 Commandments of Smart Agents. Yes, I know I can’t count, but that last one is SO key to growth, I just had to add it in for you! Now it’s your turn. Let me know what YOU think! Honestly, you could write a book about each one of these, there’s no wrong answer! The important part comes in taking action to follow the guidelines they serve. Do that, and you’ll be well on your way toward success.